Denver's home win streak of 12 is snapped, falling to Golden State at Pepsi Center on Tuesday night. 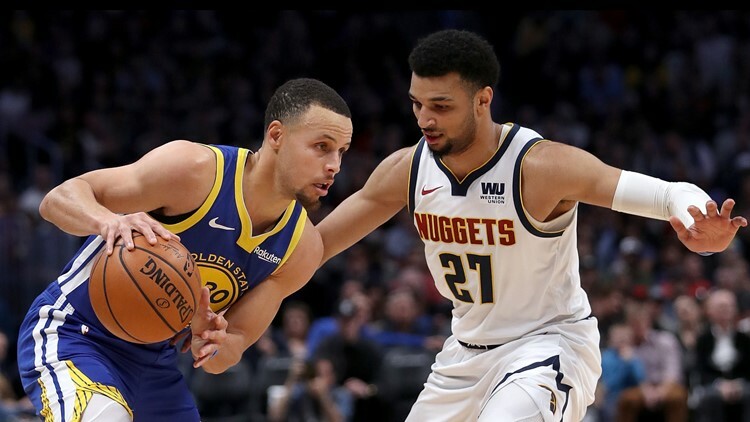 Stephen Curry and Klay Thompson each scored 31 points as the Golden State Warriors, propelled by an NBA-record, 51-point first quarter, regained the top spot in the Western Conference by routing the Denver Nuggets 142-111 on Tuesday night. Kerr is pulling for quarterback Jared Goff - "a good family friend," he said - and the Los Angeles Rams to get to the Super Bowl.